showings start Friday at 2pm. Great Location! 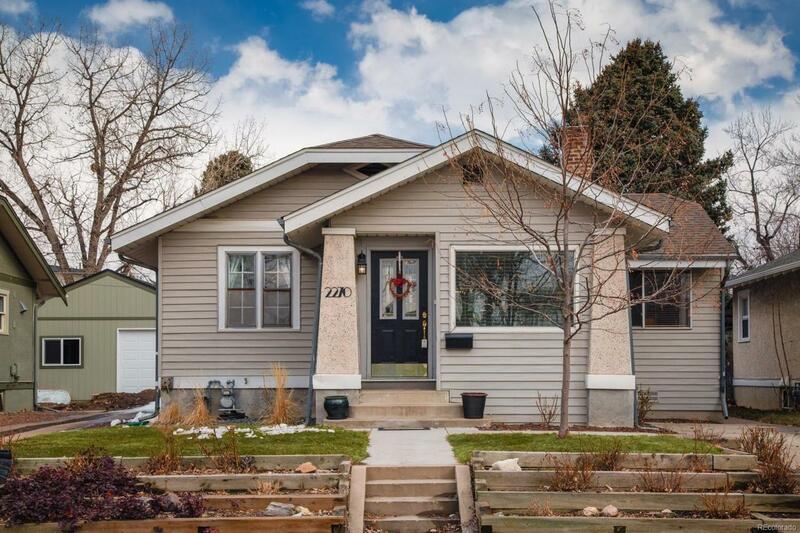 This updated bungalow, has been remodeled by; opening up the floor plan, adding a large living area and adding a master suite with master bath and walk-in closet. Newer stainless steel appliances. A fenced in yard with a new (2018) redwood deck for entertaining and decent size yard. A detached heated 153 sqft bonus area in back to be used for office, hobby area, gym or bike shop. AND a detached two car garage to boot. *Just a half of block from Harvard Gulch which offers recreational center, pool, playground, 3 par golf course and a community garden. *Only bocks to shops, restaurants, farmers market and breweries on popular Pearl Street. *Close to Evans Light Rail Stop.